© Flood Oil Company, Inc. - Eden, WI. Founded in 1930 on Main Street by George W Flood, Flood Oil Company has been serving the local community for over 85 years. With our home and farm fuel delivery, Eden Heating and Cooling branch, and service station, Flood Oil is constantly trying to keep up with the times and changes to modern technology. 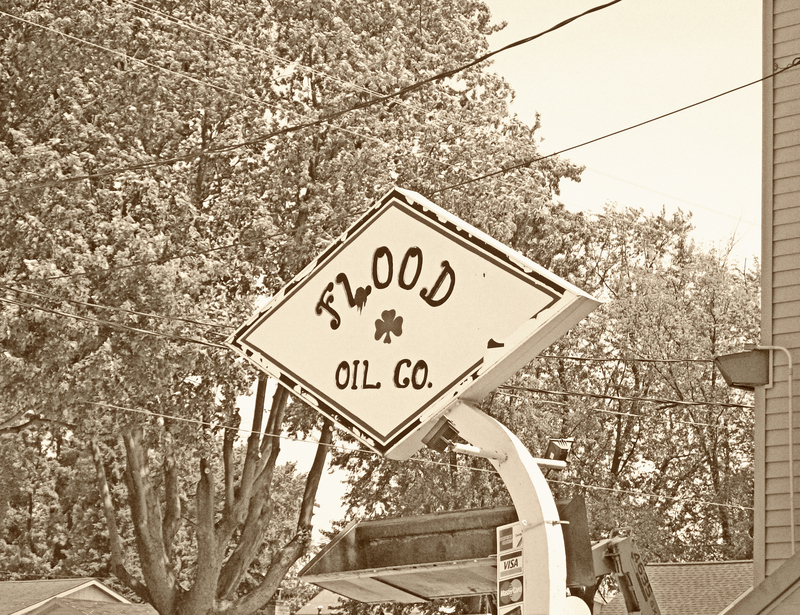 Flood Oil is still family-owned by George’s nephews, Bob and Peter Flood; his brother Frank remained president of the company until his passing in 2011. The youngest son of a customer said the first time that they came here “The Flood Oil Company Service Station looks the same as the one on the Andy Griffith Show”. One aspect of Flood Oil that hasn’t changed in 8 decades is our full-service gas station. With a 60-year diesel pump and 30 year old gas pumps, it was time for an upgrade. An upgraded fueling station installation in 2013 includes 24-hour pay-at-the-pump gasoline and diesel pumps. To protect these new pumps, we also installed an overhead canopy and bright LED lights. To that we also added a touch-screen register/computer system to accompany (but not replace) our handwritten gas receipts. Despite all of the new changes, Flood Oil still strives to give our customers the same personal, small-town service they’ve come to expect. Even with the pay-at-the-pump option, we will still continue to pump any customer’s gas that requests or relies on that familiar face to show up at their car window. 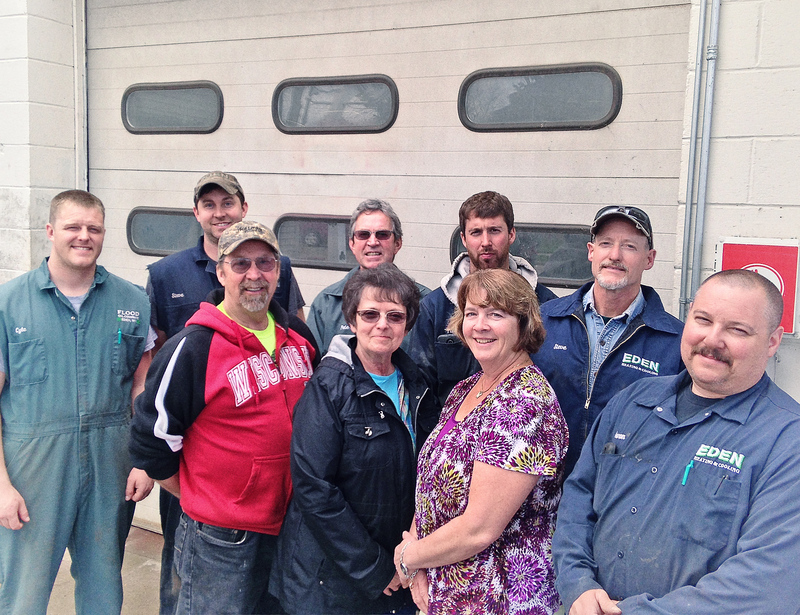 Just after the new pumps were completed, Flood Oil lost an integral, long-time dedicated employee, Dan O’Brien. Dan was known and loved by everyone who visited our little corner station. We know he would be just as excited as we are to see all of the changes and progress Flood Oil continues to make. From all of us at Flood Oil, we’d like to thank our families, friends, and neighbors who have kept us going through the good times and bad. May God smile down on our Garden of Eden.